Winter cold and wind can wreak havoc on skin, but so can summer sun and heat, as well as just getting older – and that is true for men and for women. But the Mayo Clinic has some advice on how you can cope with dry skin. Normal skin. In this case, your skin is neither too dry nor too oily. You should use a water-based moisturizer that is light and non-greasy. Dry skin. If your skin is dry, you need a heavier moisturizer. Choose one that is oil-based. And if your skin is very dry or cracked, choose a petrolatum-based moisturizer, which stays in place more effectively than creams. Oily skin. Even skin that is oily and prone to breakouts needs moisturizing. But choose a water-based moisturizer labeled noncomedogenic; that means it won’t clog your pores. Sensitive skin. If your skin is prone to itching or rashes, you need a moisturizer with soothing ingredients like aloe. 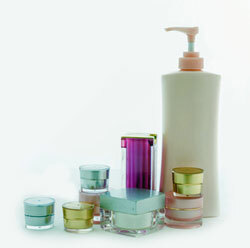 Also look for something that does not contain fragrance or dye, which can be allergens. And avoid products that contain acid. Mature skin. Skin usually gets drier as you get older, so keep it hydrated with an oil-based moisturizer with a petrolatum base. Ingredients like antioxidants and alpha hydroxy acids also can help fight wrinkles. You might have to try a variety of moisturizers before you find one that works for you. Experiment with different brands and ingredients. And remember that the most expensive moisturizer is not necessarily the best or most effective, so don’t be afraid to try a less expensive or store brand. While you are moisturizing, you can also protect your skin against sun damage. Many moisturizers, especially those designed for use on the face, contain sunscreen. And protecting against the sun is one of the most effective things you can do to keep wrinkles and dry skin away. The best time to apply moisturizer is right after you come out of the bath or shower. Pat your skin to remove excess water, then apply moisturizer to trap the remaining water in your skin. You also can apply moisturizer any time your skin is feeling dry, especially before you go out into the cold. Don’t forget about your hands, which really take a beating from hand washing and the elements. Every time you wash your hands, follow up with a little moisturizer. Unless the skin on your face is very, very dry, avoid using oil-based creams there. But you can use them on your arms, legs, hands and feet, where your skin tends to be drier and itchier. Finally, remember that the Food & Drug Administration does not regulate moisturizers to the same degree it regulates drugs, so if a product does not do for you what it claims it will do, try another. If a product causes an adverse reaction such as rash or redness, or if you cannot find an over-the-counter product that does what you want, consult your doctor or dermatologist.